Sean King and Michelle Maxwell are ex-Secret Service agents, now turned private eyes. The story begins with a chance meeting with a teenaged boy, running through the streets. The pair follow, as Michelle wants to make sure the boy isn’t in any trouble. Turns out, the boy, Tyler Wingo, has just learned that his father, an Army Special Forces officer, has been killed in Afghanistan. Something about the details of the Sam Wingo’s death seem off to King and Maxwell, and when Tyler gets an email from his dad, sent after he “died,” the young man asks the duo to investigate. What starts out to be a simple investigation turns into something much more when they draw the attention of some powerful government agencies that have deemed Sam Wingo to be a traitor. With the help of Edgar, their friendly computer whiz, and Dana, Sean King’s ex-wife, King and Maxwell embark on a mission to clear Sam Wingo’s name, uncover the true traitor, and keep everyone alive while doing so. This is my first David Baldacci book, and so this is my first exposure to King and Maxwell. It is the sixth book in the King and Maxwell series, but you can read this as a stand-alone title. I enjoyed the book, as I enjoyed the relationship between the two detectives as well as the fast-paced action of the story. 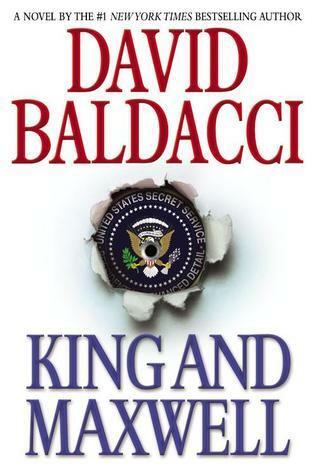 Baldacci’s writing is confident, and he deftly weaves the various political plot threads together in a way they all make sense. The one thing I found lacking was the motivation of the villain…I had trouble believing that this person could hold such a serious grudge for so long. I suspended my disbelief, in this case, as the rest of the story was well-told. I do think I’m going to have to read the previous book in the series, as I would love to read Edgar’s back story; he seemed a fascinating character.